The first time I ever air-dropped a wave and stuck it was in Kilmurrin. That’s surfer lingo. Something I’ve rarely used and sparingly. I refused to ever say gnarly, or stoked, for example. In Ireland, I always thought, we had sufficient command of expressive language and a predilection and culture for description such that surfer speak terms were mostly unnecessary. The best and funniest surfer dude interview, by the way, just in case you’ve never seen it. Watch it. Steve, this one is from your front porch! Check out the remix on the playlist after it finishes also. 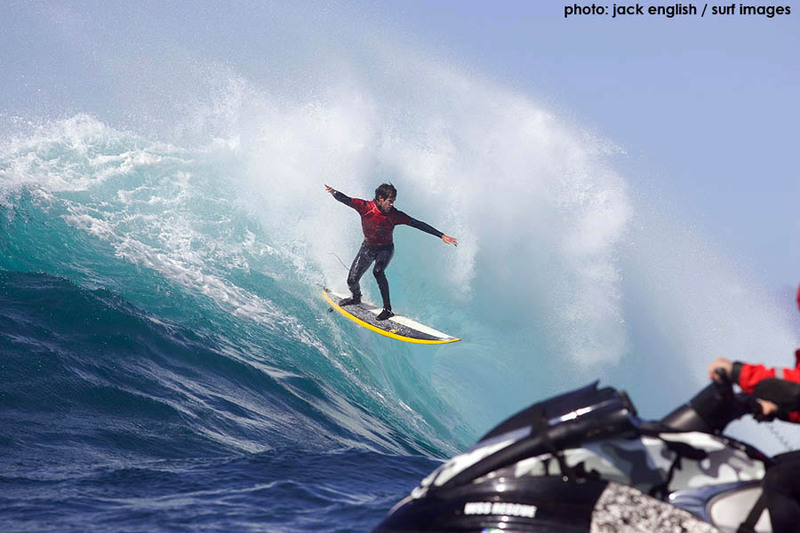 But some terms were invaluable to describe aspects of surfing or the sea. A heavy wave. Glassy. Jacking up. Closing out. Channel. Not the Channel I usually refer to, but a way of getting through a break by using an outward flowing current. Air-dropping a wave and sticking it, meant the wave rose up so quickly and so steeply that the surfer trying to take off lost touch between the wave and the board, and dropped on the board though the air. Sticking it meant staying on the board and in control after landing, and surfing the wave. My very old, and very battered, and to this day still never out of my car, the Stormrider Guide to Europe says of Kilmurrin: This is the last resort when storm surf is closing out everywhere. It has a big drop with little else. The wave breaks at the mouth of the cove – don’t venture out beyond it. The cove has a single house. Someone I surfed with for years lived there and I got to know Kilmurrin Cove better than almost anyone except maybe one or two other people. I surfed in double-overhead left-handed surf, on a crazy vertical A-frame peak (the air-drop), on high-tide kamikaze breaking into 20 centimetres of water surf, on pristine glassy right-hand tubes. I cut opened my head on a skeg there and had to go to the emergency room, the classic surfer’s injury. I once caught a single wave there in Force 11 after ninety minutes of trying to make it 50 metres to get in position, in wind so awful it ripped the door of my car off its hinges after I exited, while the other two people who knew it as well as me refused to get in the water with me, calling it insanity. But still wanting to watch to see what happened. I knew this place and Bunmahon up the road better than my own garden. I guess I even thought of them as my garden. 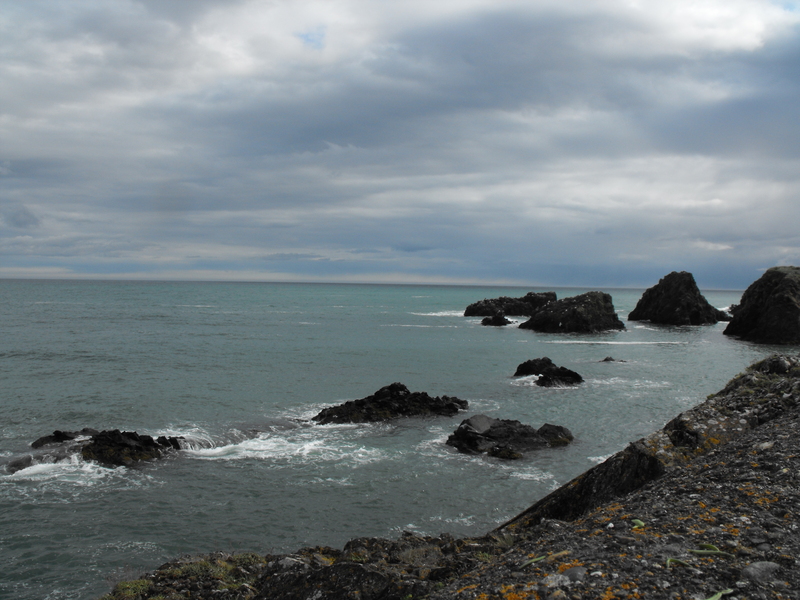 A few months ago a Twitter contact asked me about swimming from Kilmurrin to Boatstrand, the fishing harbour east along the coast, only a mile by road, on the other side of Dunabrattin Head. We tried to arrange it for last week but the weather and schedules didn’t co-operate. Left to my own devices, I wasn’t as constrained by worrying about someone else’s safety and conditions. I had a look at my OSI map. 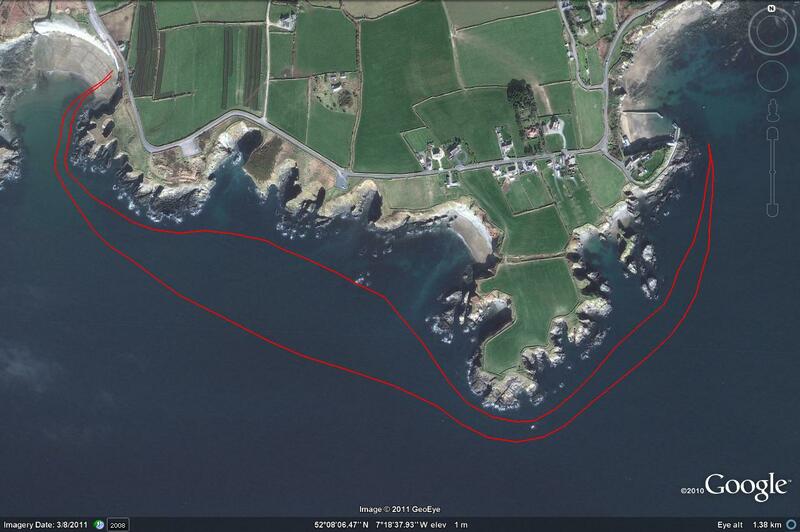 I figured there would be currents around Dunabrattin Head. And I knew from all that experience that there is a really strong rip across the mouth of the cove, running east, even if Stormrider hadn’t also mentioned it. Or if Waterford County Council hadn’t added a sign. 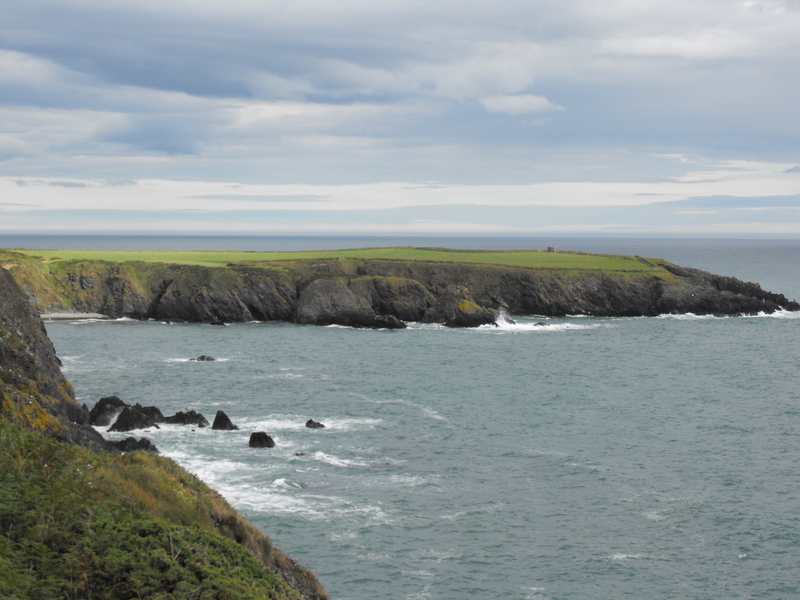 But the cove is only 50 metres across at the entrance, which is what makes it such an unusual surf location. That entrance focuses swell, and the sudden shallowing of bottom makes the wave rear up suddenly, like a watery beast and inside the cove widens to about 250 metres with the hillside around helping protect from wind, so waves can then refract across the cove. The only distortion in the photo are the joined waves in the foreground. It’s such a perfect little horseshoe that it looks like it was taken with a fisheye lens. When I arrived it was Force Two onshore south-westerly, the prevailing conditions. There’s a channel on the left side of the cove that operates as a conveyor belt out to the entrance. 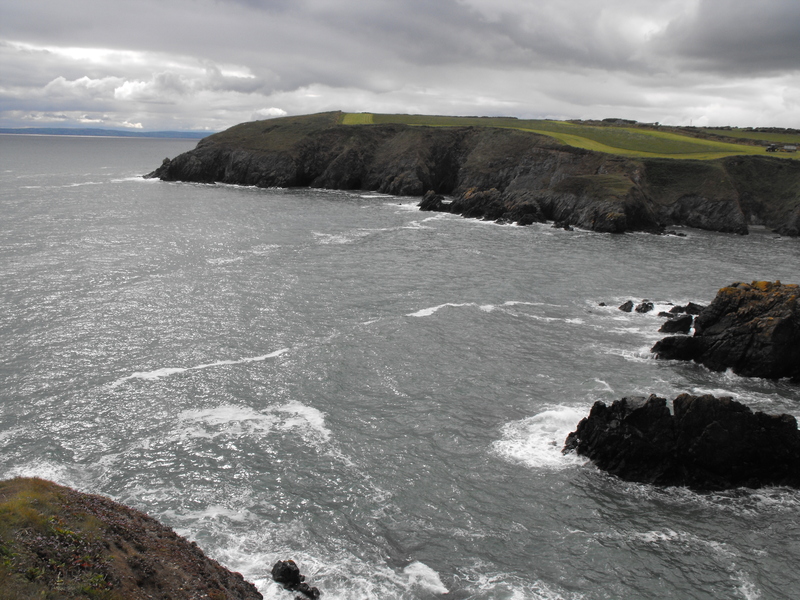 I turned left outside the cove and headed for inside Dunabrattin Head. It quickly became obvious that the easterly current was supplanted by a contrary westerly current and I was in it. 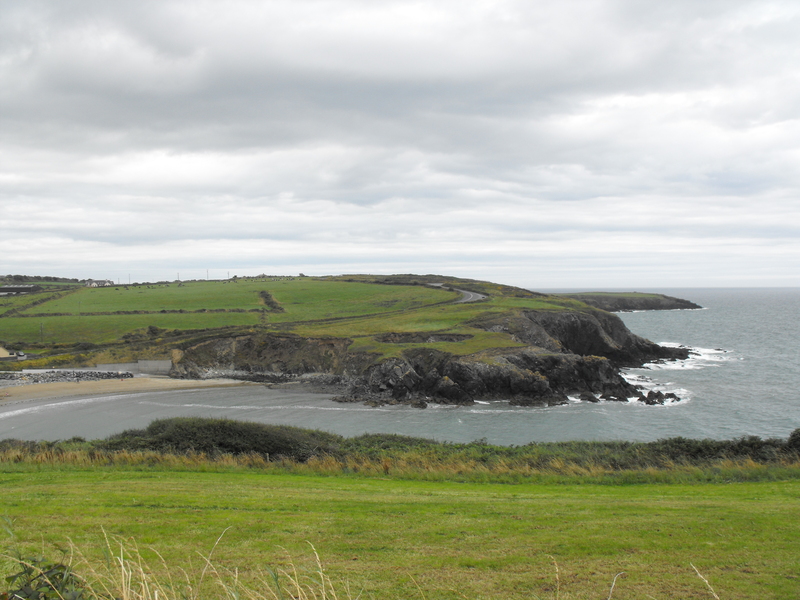 As I approached the tiny beach on the west side of Dunabrattin, I adjusted outward to the head. And even more surprising, was that even though it was only Force Two the water was very rough. And occasionally underneath I could glimpse reefs suddenly coming toward me in the waves. 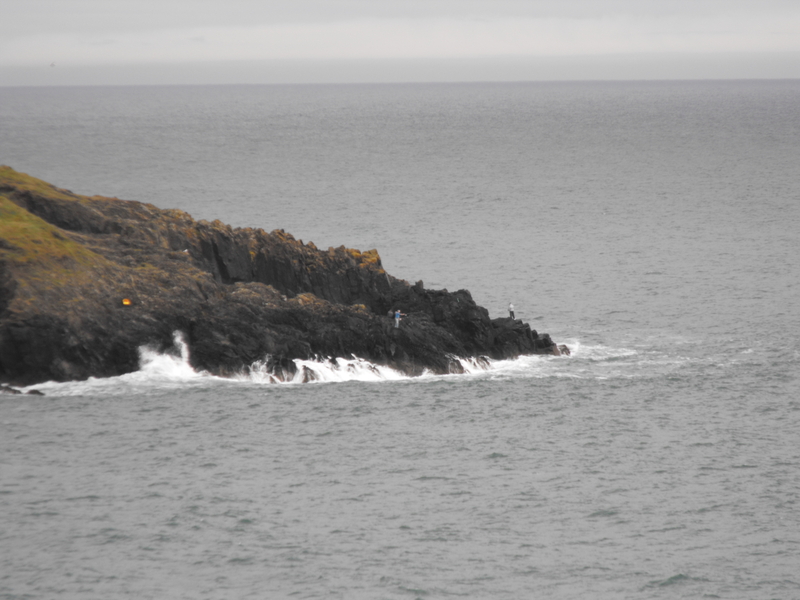 In all my time on this stretch of coast, I had never known Dunabrattin Head was a popular fishing spot. I suppose it wasn’t on my surf radar. But I could see people there as I approached. As I’d headed outward the current disappeared and I started to move at a normal pace. Close to the rocks I could see there must have been ten guys line angling. In my brief breathing glimpses, all seemed to have stopped to watch. Once again, I was certainly something they’d never seen before in that location. I arced around the head toward Boatstrand harbour and the water calmed down significantly. There were quite a few skerries at this side. I stopped outside the pier wall in line with the small building I could see, which I assumed was a small ice house or office. Boatstrand is a small working fishing harbour, but I hadn’t been down to the harbour in maybe ten years, and then I was only thinking surf. It had taken me 45 minutes to get to here, a bit longer than I’d guessed, but no worries. Back around the head and passing the fishermen again, I realised I was bit slower coming back, so there was another current here. This time I didn’t follow the coastline but took a direct line across toward the cove entrance. And in this direction I could really see and feel how the topography amplified the south-westerly chop. 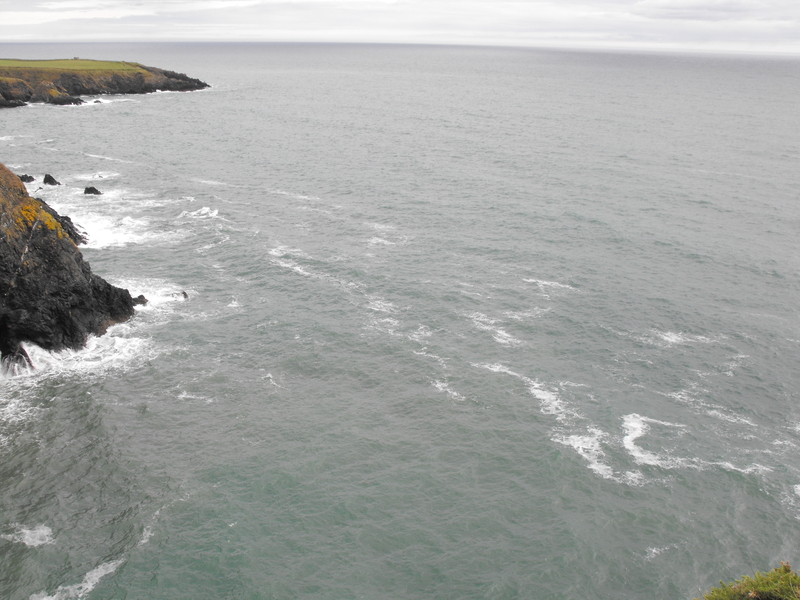 Waves felt like they were being trapped between Dunabrattin Head and the short stretch between Kilmurrin and Dunabrattin, reflecting off the low ( 20/25 metre) cliffs. When surfing near a pier or promenade on high tide this occurrence is obvious. Reflected waves add to the size of the incoming waves, but increase the unpredictably. It felt like that, but quite a way out. It was both a slog and fight, the fight of utterly unpredictable water. As I approached the cove, I moved toward the centre of the entrance. I didn’t want to be close the rocks as I had on the way out, with the possibly of random waves appearing behind me and throwing me onto the barnacle encrusted reefs. I was back by one hour twenty-five minutes, having picked up five minutes on the return. In all, I’d consider the stretch as pretty sketchy and potentially dangerous because of the amplifying corner effect, and the various currents in the area, which will are also shifting depending on conditions and tide. I took a look again from the cliff above the entrance. And there were the currents quite visible. 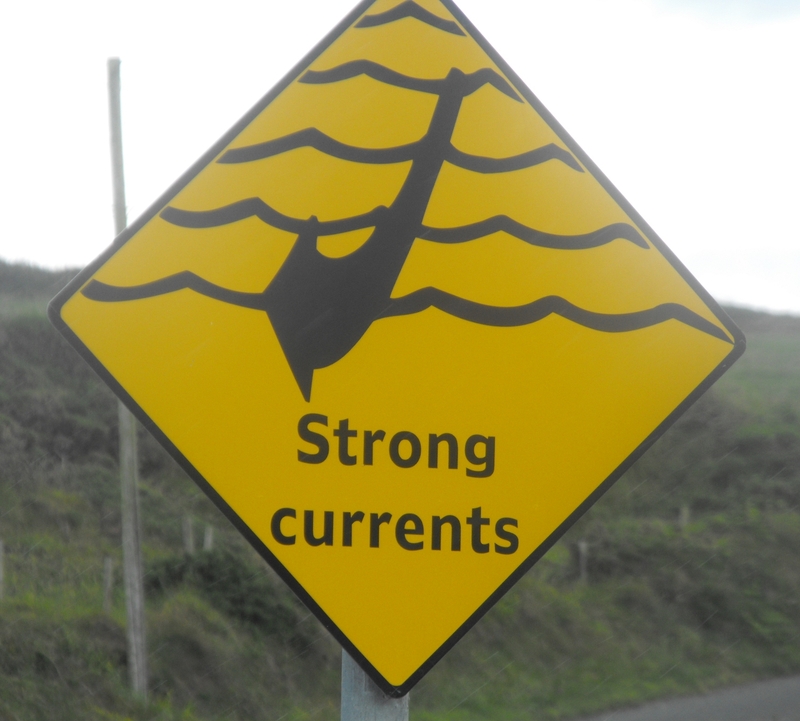 But though those are the current warned of in Stormrider, they weren’t the current that added to the difficulty, indeed the current across the entrance becomes an opposing current., Oh, and since this bothers some people, there are regular seals in this area, probably based behind the skerries in Boatstrand, but very regular visitors in Kilmurrin and along this stretch of coast, I saw one just outside the harbour wall.